I have been pretty active on Digg for quite some time now and there seems to be some sort of hatred for the power users by the regular Digg users and may be by the Digg itself now (that’s how it seems with the v4). Digg is the most popular social news website launched around the end of 2004 by Kevin Rose, a technology enthusiast who loved to read Slashdot and wondered how cool would it be to have the ability to vote these stories too. He launched Digg so users could handpick the best content from internet and Digg or Bury it to decide the fate of the story. 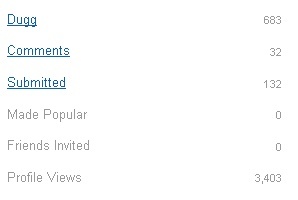 The power users in Digg community are the most active users in submitting and digging the stories up. They are the ones who mostly decide if the story will or will not be on front page. Power users play a vital role in bringing stories to front page hence most of the content that gets served to over 30 million visitors each month is courtesy of power users. Now, if the content that gets served on Digg front page isn’t interesting, Digg wouldn’t have had so many users coming and if it is interesting, Digg and other users should realize why power users are important. A Power user is nothing but a good contributor to a community. A member of the community that likes to keep it clean, interesting and alive. How are they power users at first place? Because they put a lot of time contributing towards Digg and start to make their influence. To me this sounds pretty fair that the user who has voted up and down a lot more stories to clean up the Digg and push more interesting content to front page has more influence and the user who has only been submitting the content since the day he joined without doing anything for the community has less influence. Now since power users have more influence they can also throw content on front page which really doesn’t deserve to be there but Digg has taken up measures for that and that seldom happens. 46 percent of the Digg front page is controlled by 50 Whitelisted sites writes JD Rucker a huge social media enthusiast. This is a measure by Digg where it puts more trust in those chosen mainstream sites and less trust in other sites to avoid lame/spam stories from getting to front page. If some story still makes it to the front page that the community thinks doesn’t deserve to be there, it immediately gets buried. A story would usually take 100-200 diggs to be on front page which means only a handful of total diggers checked the story out, but once it’s on front page it is exposed to those thousands of users browsing the front page and stands no chance to stay there if it doesn’t deserve to be. So, there’s no chance that power users could throw useless content on the front page just because they are powerful. Power in the hands of users means that they can digg the truth out from the smaller publishers even if mainstream media tends to lie about it. Hence good content gets the coverage let the publisher be big or small. Even while everything on Digg seems to be working just fine, Digg with the launch of v4 wants to take this power from users for unknown reasons and transfer it to the mainstream publishers. As I write this, MrBabyMan, the most influential user on Digg who joined Digg in December 2005 has 19,674 fans while the publisher “Engadget” already has 25,647 fans in a month or so. 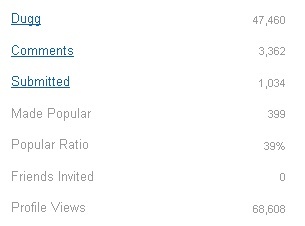 Which means Engadget has more influence than the most powerful digger. Digg is a “social news” site where users handpick and submit the content. Auto submitted feed content doesn’t make it a social news website anymore. Definitions of social news as by Google. Digg has already dedicated around a 50 percent of front page to mainstream media which is good enough. By transition to Digg v4, it will dedicate probably 90 percent or so of front page to mainstream media leaving almost none for smaller publishers and users. This will not only ruin what Digg is all about (social news) but would also let go the Digg loyal users.